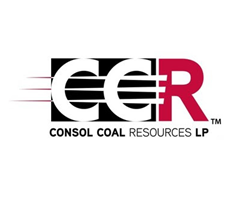 February 7, 2019 - Today CONSOL Coal Resources LP (NYSE: CCR) reported financial and operating results for the quarter and year ended December 31, 2018. Annual production and sales volume records at the Pennsylvania Mining Complex (PAMC). "I am extremely proud to announce our 2018 fourth quarter results, as it was another strong quarter to cap-off a year of many achievements," said Jimmy Brock, Chief Executive Officer of CONSOL Coal Resources GP LLC (the "general partner"). "The quarter marked a milestone for CCR, as we completed our first calendar year under our new coal-focused parent. In 2018, we produced and sold more coal than in any other year throughout the PAMC's 35-year history. I am also pleased to announce that we have made significant improvement during 2018 on the safety front as well. Our total recordable incident rate for full year 2018 has improved by 13.5% and our total number of exceptions improved by 12.1% compared to the same period last year. We continue to remain laser-focused on having zero life-altering injuries." "Over the past year, we generated a strong distribution coverage of 1.3x and reduced leverage on our balance sheet by 0.6x to 1.4x. While investors across the MLP space are questioning the sustainability of distributions due to levered balance sheets of various publicly-traded partnerships, we believe that CCR is well-positioned given its strong coverage ratio and balance sheet. Looking forward to 2019, we expect to continue running our mines at or around record-levels, maintaining sufficient distribution coverage, and opportunistically considering growth and efficiency improvement opportunities." Our Sales and Marketing team sold 1.7 million tons of coal during the fourth quarter of 2018 at an average revenue per ton of $49.81, compared to 1.6 million tons at an average revenue per ton of $46.36 in the year-ago period. This brings our full-year (FY) 2018 sales to 6.9 million tons, which is at the high-end of our guidance range. It also represents a record sales volume year for CCR and its third consecutive year of sales volume growth. This growth was achieved due to improved demand for our products, as well as our ability to ramp up production and capture that demand improvement. The average revenue per ton for the fourth quarter benefited from stronger pricing on our export sales and domestic netback contracts compared to the year-ago period. During the quarter, our domestic customers demonstrated a strong demand for coal, driven by higher natural gas prices and depleted coal inventories following stronger than forecasted burn throughout the year. According to the U.S. Energy Information Administration (EIA), total coal inventories at domestic power plants stood at approximately 104 million tons at the end of November 2018, down by approximately 27% from the same period a year ago, and the lowest end-of-November total inventory tonnage level since 1997. Furthermore, we believe that inventories at several of our key customers' Northern Appalachian rail-served power plants are below normal, and absent any meaningful weather-related demand decline, we expect to ship all we can produce during 2019 as our customers will continue to seek additional coal to replenish their depleted stockpiles. Taking advantage of this sustained demand, we have contracted greater than 95% in 2019, 53% in 2020 and 28% in 2021, assuming a base annual production rate of 6.75 million tons. This contracted position includes a mix of sales to our top domestic customers and to the thermal and metallurgical export markets, maintaining our diversified market exposure. With our solid 2019 contracted position, our primary focus is now on maximizing margins for any remaining 2019 sales and continuing to build on our contract portfolio. Internationally, coal price volatility increased significantly during the quarter with API 2 prompt-month prices fluctuating between $86 per ton and $102 per ton. Overall, API 2 prompt-month prices declined by approximately 13% during the fourth quarter of 2018, driven by rising global trade tensions and a general decline in energy-related commodities. However, we have not seen and do not expect to see any slowdown in near-term export demand for our product. Furthermore, we are currently shipping our coal under a previously disclosed priced contract which insulates us from the ongoing volatility in export pricing as well. There continues to be a significant arbitrage opportunity between coal, natural gas, and oil prices on a delivered mmBtu basis in many key global markets. We believe that with limited coal supply growth throughout the world, we will continue to have an increasing role in the coal export markets. CCR achieved record production of 6.9 million tons in 2018, eclipsing the previous record of 6.5 million tons set in 2017 and marking the third consecutive year of production growth. During 2018, the PAMC ran at approximately 97% capacity utilization, highlighting the desirability of our product. Additionally, our Bailey and Harvey mines each set individual production records during the year. Bailey's 3.2 million tons surpasses its previous record set in 2014, while Harvey's 1.2 million tons exceeds its previous record set in 2017. PAMC production for the full year benefited from strong demand for our products in the domestic and export markets, improving productivity, initial benefits from automation projects, and improving geological conditions at the Enlow Fork mine. CCR shipped 1.7 million tons of coal during the fourth quarter of 2018, compared to 1.6 million tons in the year-ago quarter. The improvement in coal sales volume was driven by strong production and continued robust demand from our customers. Total coal revenue increased by $14.9 million to $86.9 million, primarily driven by a $3.45 higher average revenue per ton sold. Our average revenue per ton increased to $49.81 from $46.36 in the year-ago quarter, due to stronger pricing on our export sales and domestic netback contracts. Our total costs during the fourth quarter were $72.7 million compared to $67.5 million in the year-ago period. Average cash cost of coal sold per ton1 for the fourth quarter was $30.54 compared to $27.30 in the year-ago quarter. The increase was due to reduced subsidence expense and lower mine maintenance spending in the prior period. For FY 2018, our total costs were $290.6 million compared to $282.3 million in the prior year. 2018 average cash cost of coal sold per ton was $29.29 compared to $29.02 for FY 2017, an increase of less than 1%. Average cash margin per ton sold1 for the fourth quarter of 2018 expanded by $0.21, to $19.27 per ton compared to the year-ago period, driven by higher average revenue per ton, offset by higher average cash cost of coal sold per ton. During the fourth quarter of 2018, CCR generated net cash provided by operating activities of $30.2 million and distributable cash flow1 of $18.5 million, yielding a distribution coverage ratio of 1.3x1. Based on our strong distribution coverage ratio during the quarter, revenue visibility in 2019, and current outlook for the coal markets, the board of directors of the general partner has elected to pay a cash distribution of $0.5125 per unit to all limited partner unitholders and the holder of the general partner interest. As previously announced on January 25, 2019, the distribution to all unitholders of the Partnership will be made on February 15, 2019, to such holders of record at the close of business on February 7, 2019. Based on our current contracted position, estimated prices and production plans, we are providing the following financial and operating performance guidance for 2019.